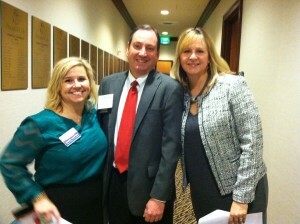 Membership in the South Atlantic Chapter of CMAA is processed through CMAA National. 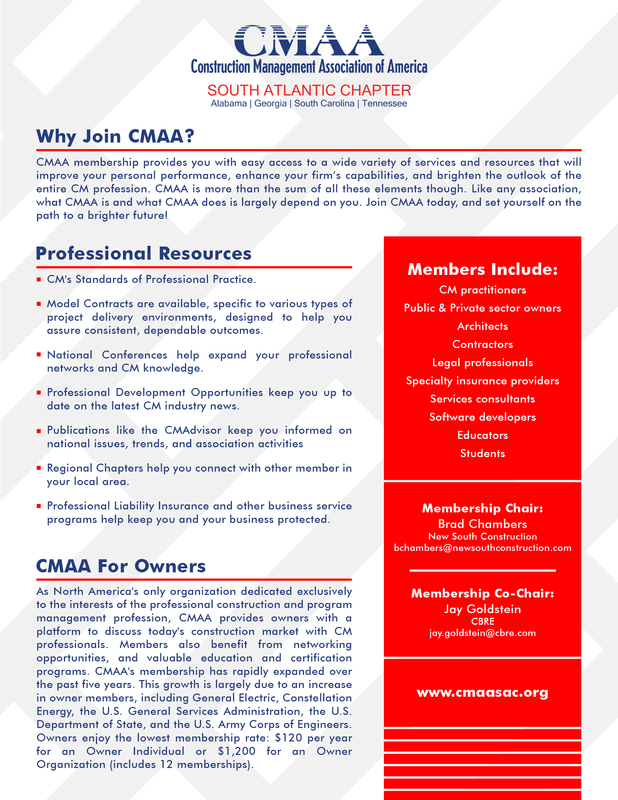 Membership in the Construction Management Association of America is open to firms and individuals sharing a common interest in the promotion of construction management as a professional service. CMAA membership provides you with easy access to a wide variety of services and resources that will improve your personal performance, enhance your firm's capabilities, and brighten the outlook of the entire CM profession. CMAA is more than the sum of all these elements though. Like any association, what CMAA is and does largely depends on you. Join CMAA today, and set yourself on the path to a brighter future! As North America's only organization dedicated exclusively to the interests of the professional construction and program management profession, CMAA provides owners with a platform to discuss today's construction market with CM professionals. Members also benefit from networking opportunities, and valuable education and certification programs. CMAA's membership has rapidly expanded over the past five years. This growth is largely due to an increase in owner members, including General Electric, Constellation Energy, the U.S. General Services Administration, the U.S. Department of State and the U.S. Army Corps of Engineers. Applies to all practicing CMs, whose services are available for a fee. Applies to organizations, corporations or individuals utilizing (not providing) CM services, in-house or outsourced. Applies to full-time teaching faculty or full-time enrolled student at an accredited college/university in a CM-related degree program. Applies to firms that do not practice CM whose services relate to the CM industry, including legal, insurance and technology.